We feel it is incredibly important to be transparent about the charges involved in arranging a funeral with us and appreciate that not everyone has the time available or feels comfortable with telephoning or visiting all the funeral companies they want to approach when obtaining prices for their services. This is why we have made our pricing structure available below and are the only funeral director in Wirral to do so. We appreciate that choosing a funeral director is based on numerous factors not least whether you ‘warm’ to the people who are going to be looking after the arrangements for your loved one. 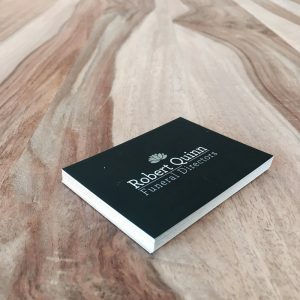 Although we have published our prices for easy accessibility if you would prefer to speak with either Robert or Karen personally about your individual needs or have any queries please do not hesitate to contact us – no obligation, no hard sell – just a friendly voice happy to help and advise. The charges that make up the final invoice include the funeral director’s fee and the disbursements. The funeral director’s fee of £1700 includes bringing the deceased into our care (during normal working hours), embalming and care of the deceased, use of the visiting room, provision of hearse and limousine to convey from a local address for the funeral service and committal. All administration and arranging the funeral, including donations, four pall bearers and supervisor to oversee the day and returning the ashes from the crematorium into our care. The price for your choice of coffin would be additional, from £325.